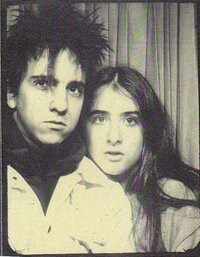 The Magnetic Fields was founded by Stephin Merritt in Boston in 1990 where he and bandmate/high school friend, Claudia Gonson, were living at the time (check out the adorable photo-booth still of the two above). I might as well get this out of the way right now…Stephin Merritt is getting inducted into the Indie Canon for being the songwriter, lead vocalist, producer and mutli-instrumentalist behind The Magnetic Fields as well as the driving force of The 6ths (more on that later), Future Bible Heroes and The Gothic Archies. Congratulations, Stephin! Stephin Merritt always looks tired and it’s understandable; he has written over 15 albums worth of material in two decades. What I love about this picture is the juxtaposition of Merritt’s frown exuding routine heartache, smug pretension and utter exhaustion with the sleepy grin of his adorable chihuahua, Irving. 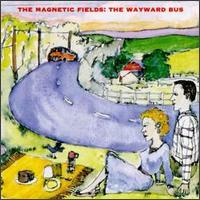 Though 1991’s The Wayward Bus was released on a single CD with The Magnetic Field’s 1990 debut album, Distant Plastic Trees, I only intend to induct the ten tracks that make up The Wayward Bus. Despite the fact that Distant Plastic Trees is a decent album on its own and contains some of Merritt’s best songwriting (particularly in The Magnetic Fields’ first single “100,000 Fireflies”) the sound is a little flat compared to The Wayward Bus. What’s markedly different about the first two albums is lead singer Susan Anway. After Wayward… Anway reportedly left the band to study dental sculpture and Merritt became the band’s primary vocalist. Songs like “When You Were My Baby,” “The Saddest Story Ever Told” (one of my all-time favorite MF songs) and “Candy” are an obvious homage to Phil Spector’s production and Anway’s vocals have an Americanized Nico air. 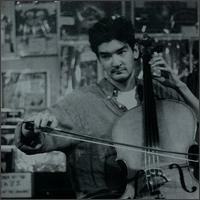 As the album progresses, the instrumentation and lyricism expand and tracks like “Jeremy” and “Suddenly There is a Tidal Wave” act as a perfect segue into Magnetic Fields’ stronger, mid-90’s work. 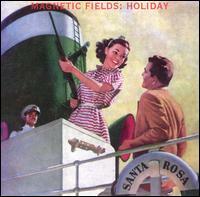 Since the first two Magnetic Fields albums there have been four core members. 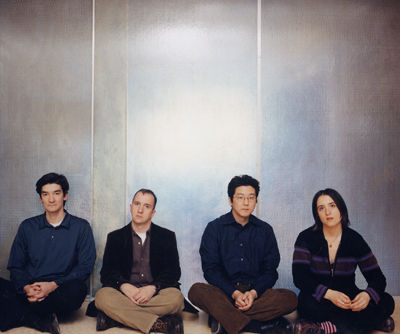 Above: (from left to right) John Woo, Claudia Gonson, Stephin Merritt, Sam Davol. 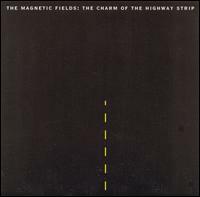 In 1994 The Magnetic Fields released two synth-heavy albums: The Charm of the Highway Strip and Holiday. Most pop artists shy away from double albums because they 1) try on the patience of the modern, attention deficit listener, and 2) prove to be at least two times the work to produce. The double album is what pro-wrestling fans would refer to as a “high-risk maneuver” – high cost, high reward. So, what happens if a band releases a triple album?? Few artists have ever had the stones to do it (indie goddess Joanna Newsom’s Have One on Me and Frank Zappa’s Joe’s Garage are two that I’m aware of) but I have yet to hear one that matches the sheer ambition of 1999’s 69 Love Songs: literally 69 songs (nearly three hours of music!) and off-the-wall pop exploration. Sure, each volume has some fat that could be trimmed, but considering the toalbum’s breadth, the ratio of great songs to shlock is absolutely startling. 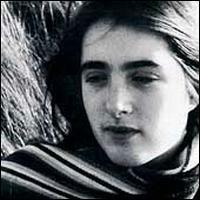 Aside: 69 Love Songs had a number of guest musicians and vocalists including Shirley Simms who has since become a member of the band’s regular roster. 69 Love Songs tours nearly every pop genre subset under the sun and it would be easier to make a list of instruments not used on the album. Merritt’s lyrics are funnier and more tragic than ever making him a perfect candidate to deconstruct the bipolarity of “love” (that sounds so, so pretentious and I’m sorry). Simply put, 69 Love Songs is one of the most impressive musical achievements of the past two decades. The second volume is a bit “out there” when compared to its 23-track predecessor as telegraphed by the opening a Capella “Roses” and comic rock “Love is Like Jazz.” The other thing that becomes readily apparent on the second disc is the gender-bending lyrics throughout. At a first listen, I was blindly obsessed with “When My Boy Walks Down the Street.” Multiple listens later I was confused as to why there was a male vocalist. By the time “Long-Forgotten Fairytale” (Merritt sings “There’s an old enchanted castle and the princess there is me.”) and “Papa Was a Rodeo” played, I had an epiphany: Stephin Merritt is gay. I blame my gaydar which has been historically unperceptive. The second volume of 69 Love Songs may be the weakest of the three (this is entirely arbitrary when referring to the album as a whole), but I’ve been caught belting some of the songs below in my car more than once. Very F… *cough* Epi…*cough cough* I don’t have bronchitis, I’m just a shy car-singer. Five years after the release of 69 Love Songs, Merritt decided to take a three-album synth hiatus beginning with the release of i and followed by Distortion and Realism. Although I didn’t care for Distortion, I decided to splurge on a pair of tickets for the NYC Town Hall show during their 2010 tour. The second ticket was initially intended for a little lady whom yours truly was attempting to woo. Said little lady refused my generous invitation. Idiot (her…wait, me?). My friend bought a portion of the second ticket and I’m glad he did because it was a great show and I doubt that I would have made the trek to the city for the show alone. Below is a recording of “I Don’t Want to Get Over You” from that concert which I assure you has absolutely no relation to the little lady in question; it just so happens to be one of my favorite MF songs (wonderfully self-conscious) played live at a concert which I attended. Aside: For the record, I’ll only drink [dry] vermouth in gin martinis. Ah, the healing power of the gin-soaked olive; Merritt himself sang that “Love is like a bottle of gin, but a bottle of gin is not like love.” I myself think that love is more like a bottle of Pepto-Bismol: it sometimes coats your tongue and can immediately relieve “heartburn,” yet it can be somewhat ineffective to nausea and verbal diarrhea. As I mentioned previously, The 6ths was one of the handful of Merritt’s side projects. 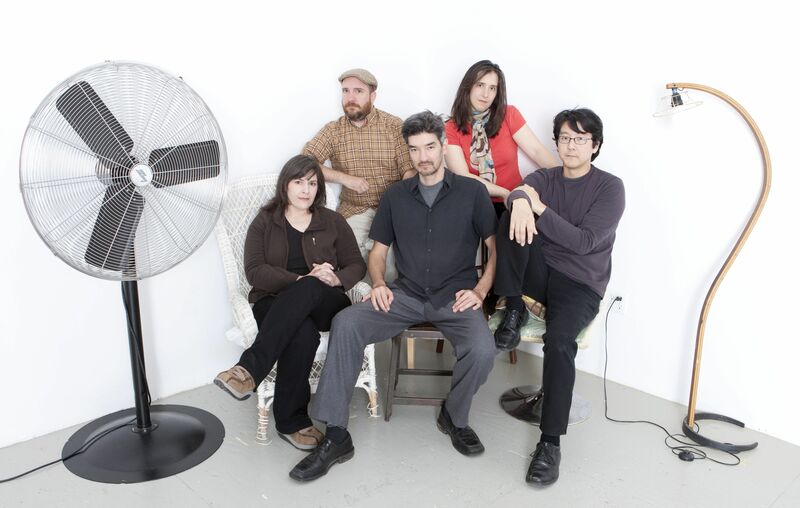 The first 6th’s album, Wasps’ Nests, is less a traditional album than a Merritt-produced collaboration with a who’s who of independent pop/rock (including Galaxie 500’s Dean Wareham, co-founder of Merge Records and Portastatic’s Mac McCaughan, Dinosaur Jr. and Sebadoh’s Lou Barlow and The Bats’ Robert Scott too mention [more] than a few). 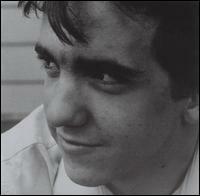 Merritt wrote all of the tracks on the album, but sings only one: “Aging Spinsters.” For the rest of the album, Merritt takes a producer’s back seat and let’s his guest vocalists run with his material…and do they ever run; “San Diego Zoo,” “In the City in the Rain” and “Heaven in a Black Leather Jacket” are a few of my top played songs. The fact that Wasps’s Nests was released before 69 Love Songs in 1995 (the same years as The Magnetic Fields’ much less spectacular Get Lost) always blows me away. For these reasons, The 6ths and Wasps’ Nests have also been inducted. The Magnetic Fields are currently touring for their new album, Love at the Bottom of the Sea (which I reviewed a few weeks ago). Love at the Bottom of the Sea, though nothing spectacular, did mark the reemergence of synth. If local dates are announced, I’ll likely be in attendance. Well, that about wraps it up. Two artists, five albums and one man have deservedly found their way into the Indie Canon! Tags: (Crazy For You) But Not That Crazy, 100000 Fireflies, 69 Love Songs, A Chicken With its Head Cut Off, Absolutely Cuckoo, Aging Spinsters, All My Little Words, All You Ever Do is Walk Away, bobdoes, Born On A Train, Busby Berkely Dreams, Candy, Claudia Gonson, Daniel Handler, Dean Wareham, Desert Island, Distant Plastic Trees, distortion, Epitaph For My Heart, Fear of Trains, Frank Zappa, Future Bible Heroes, gay synth, Heaven in a Black Leather Jacket, hipster, hipster girls, Holiday, i, I Can't Touch You Anymore, I Don't Believe in the Sun, I Don't Want to Get Over You, In the City in the Rain, Indie Canon, It's a Crime, Jeremy, Joanna Newsom, John Woo, Lemony Snicket, Let's Pretend We're Bunny Rabbits, Lonely Highway, Long-Forgotten Fairytale, Lou Barlow, Love at the Bottom of the Sea, Love is Like Jazz, Mac McCaughan, Meaningless, Merge Records, Nico, Papa Was a Rodeo, Phil Spector, Promises of Eternity, Realism, Robert Scott, Sam Davol, San Diego Zoo, Series of Unfortunate Events, Shirley Simms, Stephin Merritt, Strange Powers, Suddenly There is a Tidal Wave, Susan Anway, Swinging London, synth pop, The 6ths, The Book of Love, The Charm of the Highway Strip, The Death of Ferdinand de Saussure, The Gothic Archies, The Luckiest Guy on the Lower East Side, The Magnetic Fields, The Night You Can't Remember, The Saddest Story Ever Told, The Wayward Bus, Town Hall NYC, triple album, Two Characters in Search of a Country Song, Very Funny, Wasps' Nests, When My Boy Walks Down the Street, When You Were My Baby, Yeah Oh Yeah!